What’s in the SoFi AAA Rated Bonds? 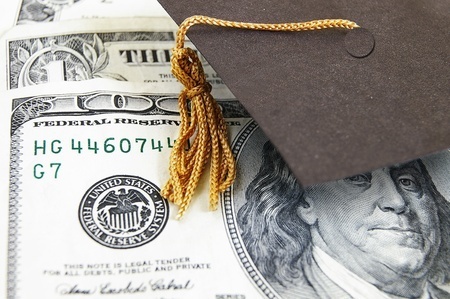 Should you buy student loan debt from a startup tech-based lender? DBRS is signaling yes with a AAA grade to $387 million of the notes in a $418 million offering. To put that into perspective, the U.S. Dollar was given the same grade just months before. Bonds issued by Goldman Sachs however were rated two levels lower at A on July 6th. As Safe as the U.S. Dollar? Founded just four years ago in 2011, SoFi has already made more than $2.3 billion in student loans. The company CEO Mike Cagney is a regular fixture at FinTech trade shows and I myself admittedly often wear a SoFi t-shirt on hot summer days around the city. Of all the loans to invest in though, I would’ve put student loans at the very bottom of my list. Everywhere I turn, recent college grads and the elderly alike are lobbying against what they perceive as an unfair system. The story ignited a political firestorm across social networks. But Siegel was unapologetic and encouraged others to follow his example of defaulting. He’s found sympathy from millennials who came of age right during or after the financial crisis, since many of them have struggled to find jobs or move out of their parent’s homes. And it’s not just them, “Over 16% of the $1.2 trillion in outstanding student loan debt belongs to individuals over 50 years old.” According to Forbes, the epidemic of student loan debt is even affecting seniors in retirement, some of whom are facing garnishment of their social security checks. The outlook isn’t good either. According to the Wall Street Journal, the Class of 2014 is the most indebted ever, that is unless the Class of 2015 steals the title. But the SoFi rating is based on data, not on emotionally charged arguments over social networks regarding the morality of paying for college. Obviously the numbers must indicate something to give them a creditworthiness equal to U.S. Dollar, at least for the pool of notes that earned the grade. Across the entire offering, dubbed 2015-C, there are also notes with a BBB grade. Altogether, the portfolio contains a weighted-average credit score of 777 and a weighted-average borrower income of $143,132. This isn’t exactly a group of poor struggling borrowers. 100% of the loans were refinanced from another lender so they had a prior track record of making payments. And yet a large portion of borrowers have a variable rate loan, with the average balance on those being $74,315. It’s a recipe that could shake the system years down the road. A AAA rating is an eye-opening assessment even with the quality of borrowers. The final maturity dates for those notes are in August, 2035, a full two decades from now. SoFi has only been in business for four years. Technologists and scientists say to trust in the data, but there’s got to be credibility afforded to the noise coming from millennials over the last few years. That message, at least the one that I’ve heard, has been that student loans are ruining lives. Breaking news stories about predatory colleges feed into this narrative. Just last month, the NYT alluded that as many as 350,000 students were scammed by Corinthian Colleges. “Corinthian was a longtime target for federal and state regulators, with a host of investigations and lawsuits charging falsified placement rates, deceptive marketing and predatory recruiting, targeting the most vulnerable low-income students,” the NYT stated. A Corinthian College graduate would probably not qualify to be a SoFi borrower. 3.5% of borrowers in 2015-C graduated from NYU and 2.5% from Columbia. 59% have an MBA, law, or medical degree. If the DBRS report makes anything absolutely clear, it’s that these are the types of borrowers you’d bring home to meet your parents. The irony is not lost however that Lee Siegel, the NYT author that encouraged kids to default on student loans like he did, is a graduate of Columbia. Perhaps for that reason, competing ratings agency Moody’s graded the senior notes only AA2, two notches below what they consider perfect. Yesterday I would’ve told you that I would never consider student loans as an investment, but now I’m not so sure. The data and the review by the ratings agencies definitely conflict with what I hear from real life borrowers and their attitudes about student loan debt. Home › p2p lending › What’s in the SoFi AAA Rated Bonds?